We are looking for an enthusiastic, committed Beauty Therapist to join our team. Based in The Maldron Hotel Cardiff Lane in the heart of Grand Canal Dock, you’ll work with all the premium products including Dermalogica, Waxperts, Shellac, Gelish, HD Brows, Mink Eyelashes and more. 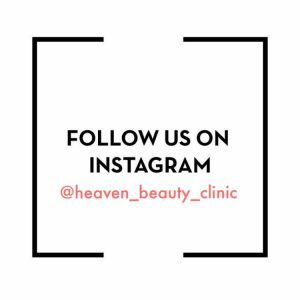 Heaven Beauty Clinic has been in Grand Canal since 2004 and we are still going strong. We expect our new team member to have fluent English, be immaculately presented and be professional in their dealings with clients. We are a small, friendly and close knit team, working together to grow our business. At least 6 months experience is essential, and full training across our product range will be provided to the successful candidate. To apply, please send a covering email and your CV to Teresa at: Heavengrandcanal@heavenbeautyclinic.com , or feel free to drop it in personally to our salon at 28 Lower Grand Canal Street. We look forward to meeting you in Heaven! ← Monday & Saturday Specials at Heaven!